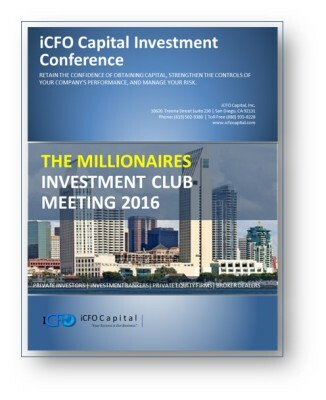 iCFO Capital holds several monthly investment brunches all across Southern California. 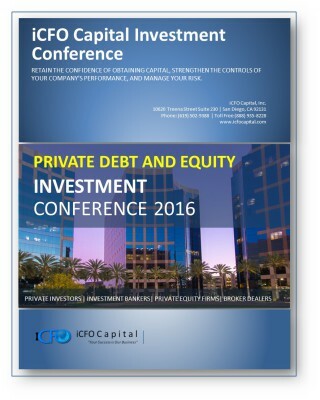 These meetings bring Accredited Investors, Angel Investors, and Investment Bankers who are interested in pre-qualified investment opportunities as well as other service providers and industry professionals to create a large audience of financing and networking opportunities for our clients. 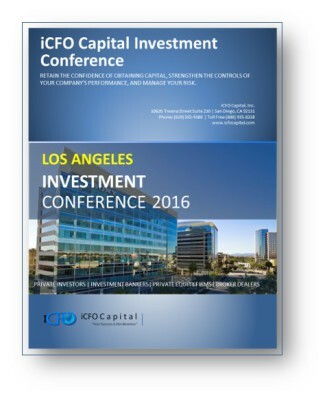 iCFO Capital is proud to announce iCFO Capital Los Angeles Investment Conference.